This is a treat of a book that I have been meaning to review for a long time, and now I’m here, there’s so much I want to say that I’m stuck for words, that doesn’t happen often! 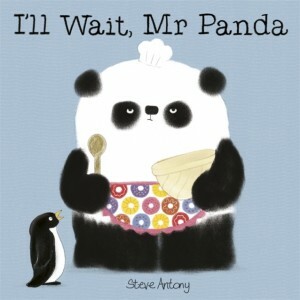 This is Please Mr Panda by Steve Antony. Mr Antony is taking the picture book world by storm at the moment with his incredibly unique illustrations and stories. Please Mr Panda landed in our library earlier this year and within moments of reading it I’d sent it to a friend and showed it to several colleagues such is the power of the humour in this story. Firstly, just take a look at this glorious cover. We have the hard back copy in our library, which is wonderful, but I recently bought this paperback version for myself purely on the basis of those sparkly doughnuts which the hard back copy doesn’t have. What a lovely job, and so nice to see extra effort made for the paperback which are more often than not less interesting than the hard covers. This is a book about one panda and a box of doughnuts. 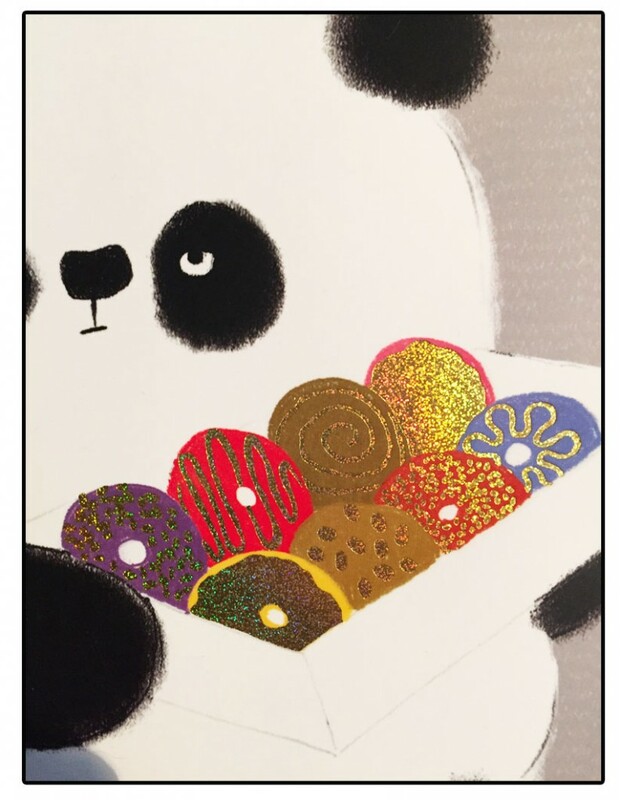 Mr Panda is offering up his delicious selection to a huge range of different animals, but each time, when the animal impolitely expresses an interest in the doughnuts he turns his back on them exclaiming that he’s changed his mind. 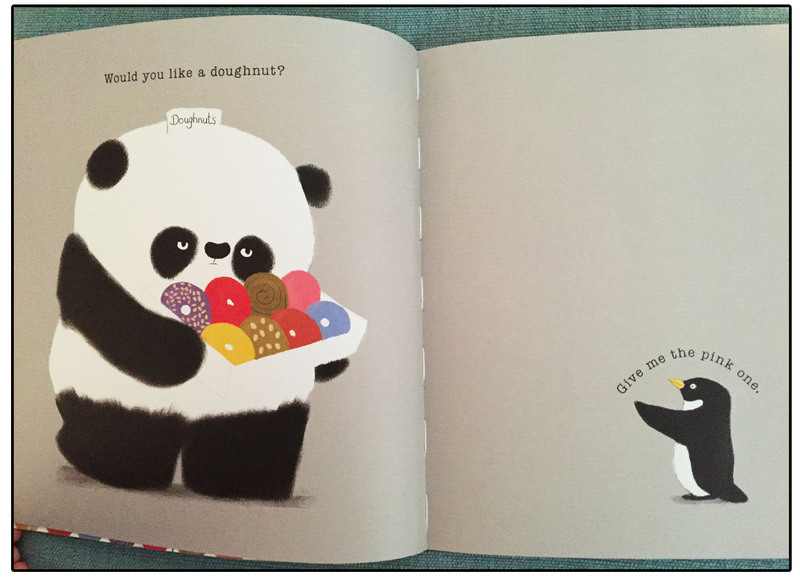 Will Mr Panda finally find someone he would like to share the doughnuts with? Does he even want to share them? 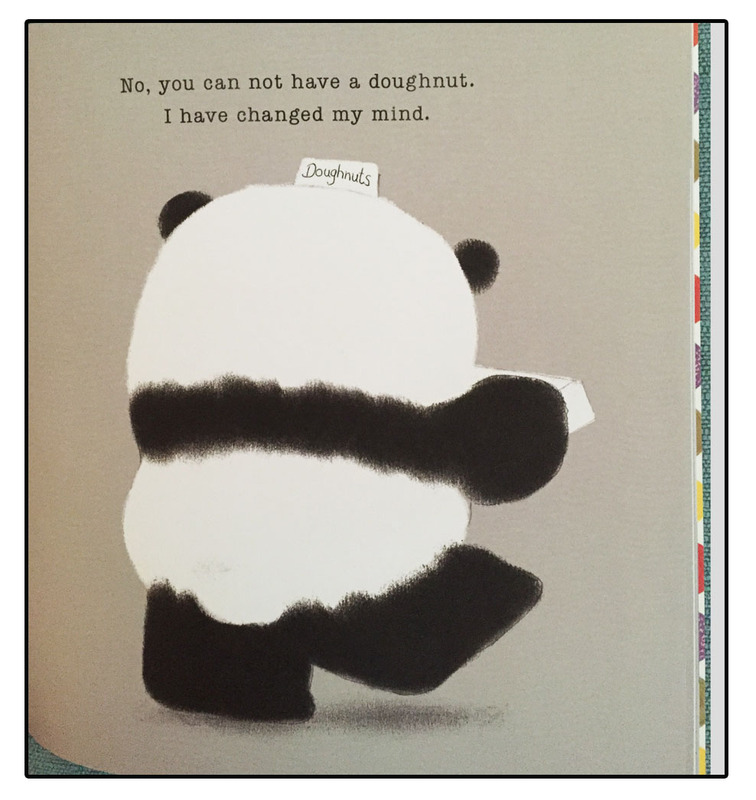 The illustrations in Please Mr Panda are clean, bold and eye catching. What I love about Steve’s books is the way they appeal to such a wide age range. I’m pleased to say The Queen’s Hat, also by Mr Antony, has been shortlisted for the Sheffield Baby Book Awards. 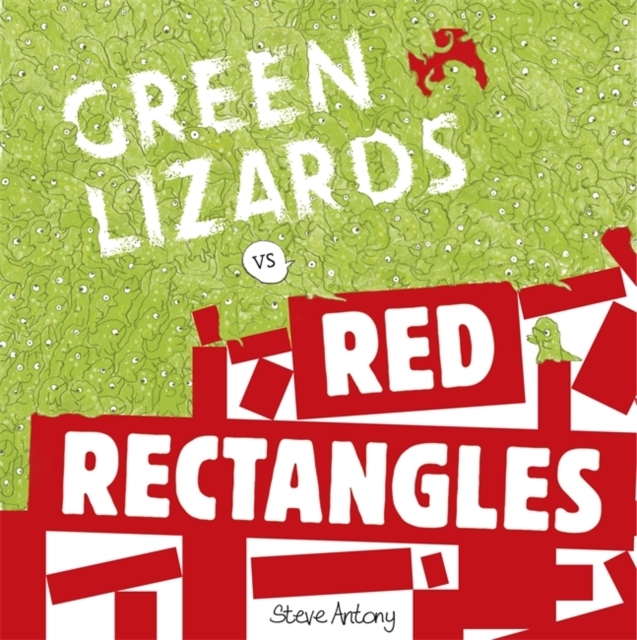 The illustrations in Steve’s stories provide perfect contrast and visual stimulation for babies and young children who respond particularly well to black and white and other simple, bold colour combinations. The short word count also helps to make this a quick read to help keep young children’s attention. 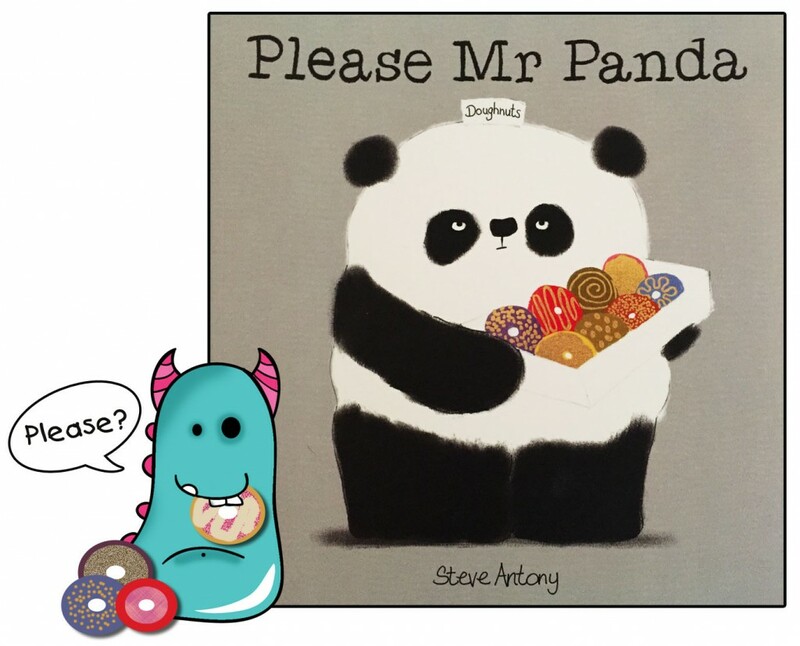 However, Please Mr Panda (and Steve’s other books) are also absolutely brilliant for older children. The humour is actually quite grown up and can be enjoyed by them and adults too. The subtle expressions on the Panda and other animal faces are fantastic and amused me so much, as did the additional little twist on the final page, it just reinforces the humour throughout. The limited text allows room for lots of discussion about what’s happening in the story and why the panda may not be happy. For teaching about manners at home or in a classroom environment you just could not find better than this book. Steve Antony has also been kind enough to provide lots of helpful craft activity and lesson plan ideas on his website making his books even more useable. Steve Antony is an illustrator I now actively look for, all of his books so far have impressed me and have been incredibly popular in the library. We recently held a story time with Please Mr Panda, and made some collage doughnuts. It was so much fun and the children loved the story. Do take a look around Steve Antony’s website as he regularly posts very interesting blog articles and as mentioned before it’s stuffed to the gills with activities and craft ideas.